It’s sweet, simple, a pretty accurate portrayal of what it means to be a parent and according to the inscription scrawled across my mom’s copy, The Giving Tree is the first book I ever read. Evidently Shel Silverstein‘s most well known publication set me off in the right direction, because not only do I still love to consume words, but make them too. 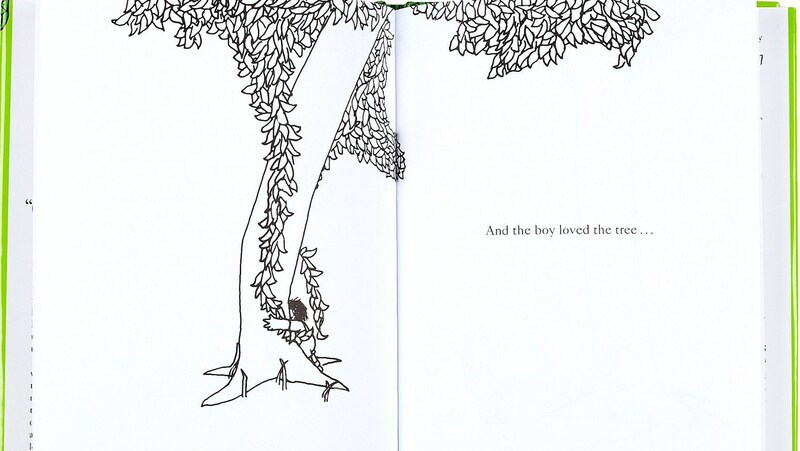 So thank you Giving Tree, my memories of grade one are a little foggy, but clearly you inspired me. I love Shel, and my daughters adore his style as well. Books are one of the few things in life you cannot consume too much of! At least so long as you don’t have a bunch of homework waiting, ha ha. I received “The Giving Tree” from my 4th grade teacher, Mrs. Beaudry. She wrote a wonderful note inside, just for me. The note still encourages me, and the book still makes me cry 20 years later. What a wonderful memory! This book is definitely one of the magical ones. Did you ever tell her how much you appreciated her gift?